The title for the largest city in Kansas goes to Wichita, which is also the county seat of Sedgwick County. This city is in south-central Kansas on the Arkansas River. What was once a 1860s trading post is now a bustling city with a population over 644,500. From a trading post of the past to much modern aircraft production of today, this city has been dubbed “Air Capital of the World”. As the largest city in Kansas, this area is full of fun activities, entertainment, attractions, and things to do – including multiple museums, several theaters, parks, and more. 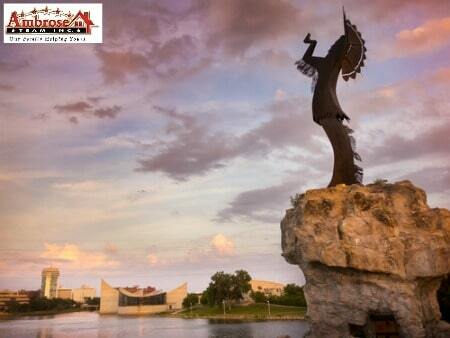 Wichita’s landmark, “Keeper of the Plains, is the 12th largest statue in the United States. This area is home to two airports: Wichita Dwight D. Eisenhower National Airport, and Colonel James Jabara Airport. Travel by bus is provided by Wichita Transit and Greyhound lines. Although there are multiple train lines in Wichita, the area hasn’t had passenger trains for quite some time. Wichita Public Schools serves the students of this area. The enroll approximately 50,000 students annually. The district is comprised of 61 elementary schools, 16 middle schools, and 10 high schools. Other school districts that serve this area are Andover Unified School District, Circle Unified School District, Derby Unified School District, Goddard Unified School District, Haysville Unified School District, Maize Unified School District, and Valley Center Unified School District. This area receives around 30 inches of rain per year, and 15 inches of snow, over 84 days annually with measurable precipitation. Summer temperatures reach around 93 degrees and winter lows are below freezing at 20 degrees. The sun shines 221 days of the year. This city is the proud birthplace White Castle sliders, although there hasn’t been a White Castle location in this area for many years. 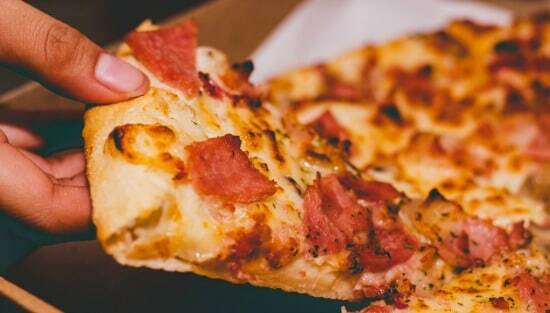 The popular pizza restaurant, Pizza Hut, was also founded in here. This city is also home to Chance Rides, the leading amusement ride manufacturer in the world, and was also the 1978 testing ground for the Mead company’s Trapper Keeper, a product that became wildly successful.